Prezentare Jesus taught with hands-on lessons and illustrations. The Hands-On Bible uses the same experience-based learning to communicate God's Word in an active, understandable way. With hundreds of fun, memorable activities, the Hands-On Bible is packed with activities and experiences that invite kids to crawl inside the Scriptures and do God's Word Exciting Bible features include 102 Hands-On Bible Experiences, 52 Key Verse Activities, 31 Bible Hero Biographies, 16 Bible Bonanza Experiences, 82 Jesus Connections, 66 Bible Book Intros, 69 Fun Facts, a Where to Turn When I'm . . . index, kid-friendly Q&A, 28 full-color tip-in pages, and charts and maps. 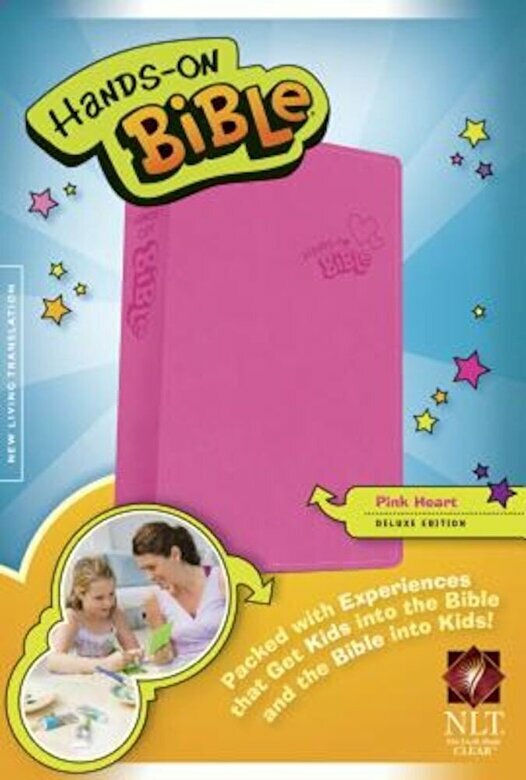 The family devotions and Bible reading plan content is available online at myhandsonbible.com, along with some downloads.